The virtual world. A place in which the imagination can run free and the possibilities are endless. The 21st century has seen an influx of game changing creative technology, specifically augmented reality and VR. 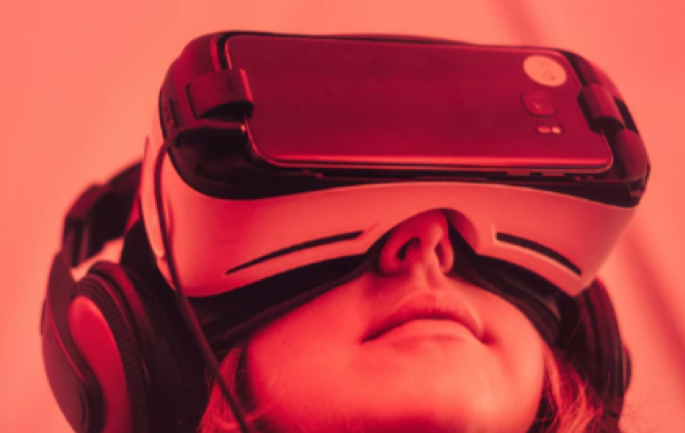 A study in 2016 found that there was an investment of $1.1 billion in augmented reality and VR, proving that audiences are hungry for new and innovative ways to experience art and media. A new feature film, OMMI, explores a futuristic world in which augmented reality and VR are at an extremely advanced level. OMMI showcases a world in which you can live out your fantasies in settings of ultra-reality. The film features an inventor Ravi, along with an artist, Sammy, that create a fully sentient boy that exists within a virtual world. This creation, named Ommi, exists within the virtual world and has multi-dimensional powers. Boeing researcher Tom Caudell established the term ‘augmented reality’ in 1990 and the technology was mainly used for practical purposes, for example the military utilised it for virtually controlled machinery. In 2018, the technology has evolved from an arguably purpose driven technology to an imagination bending creative device. VR and augmented reality have naturally expanded to many areas of life, these include gaming, healthcare, sports, curation, fashion and film. The 3D presentation was made possible through a merging of technologies, utilising both a Panasonic projector and a motorised mirror head. Created by Dynamic Projection Institute, the mirror head was the magic ingredient that allowed the images to move 270 degrees around the room. The co-creator of the piece, Belgian inventor Filip Sterckx states, “technically this was a challenge… [it] pushed what has been done with the mirror head, as so far it has mainly been used for moving around graphics or video, not for a complex animation with characters that need to be in very specific places at very specific times.”. With sound encompassing the room and enhancing the story, what results is a fantastic visceral experience that showcases the possibilities of augmented reality technology. The feature film OMMI embraces these trends within the sci-fi genre, creating a future world that takes these current technologies to the next level. OMMI’s world is one where tech that recreates reality is both celebrated and exploited, one where you have the ability to live out your fantasies. OMMI magnifies and challenges our interaction with virtual reality technology, showcasing our fascination to the digital realm.